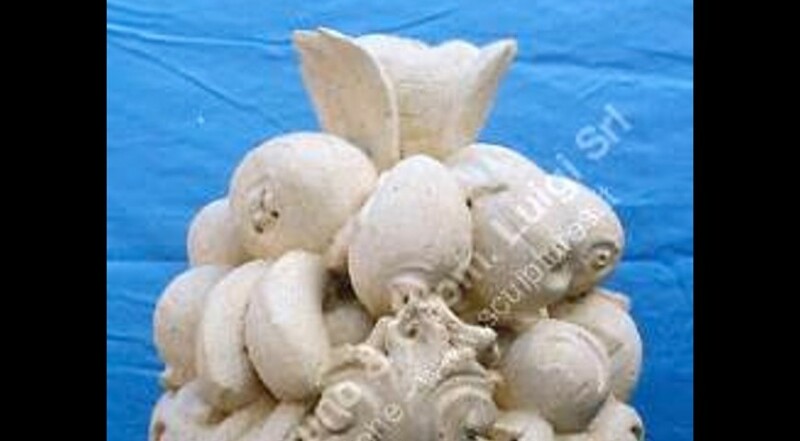 The natural carved stone Basket of Fruit from Peotta Bruno is a small ornamental finial. This small stone basket with basket-weave pattern embossments contains ornate and rotund fruits. The carved stone basket of fruit is ideal as a table centrepiece accessory or to enhance balustrading. 18th Century origin.